One of the great things about Cleveland Heights is that well over half its residents can walk to a park in 15 minutes or less. Three of those parks (Cain, Cumberland and Forest Hill) are all part of the same watershed: Dugway Brook. A fourth—the Shaker Lakes system that straddles Cleveland Heights and Shaker Heights—is part of the Doan Creek watershed. Following is a brief historical overview of this local treasure which, as many of us recall, almost became the infamous Clark Freeway in the mid-1960s. In 1799, three years after the first permanent white settlers arrived in Cleveland, Nathaniel Doan and his family built a home and tavern beside Doan Brook at what is now in Euclid Avenue and East 105th Street. Then known as the Buffalo Road, Euclid Avenue was a primary artery connecting Cleveland and Buffalo NY. Thirteen years later, in 1812, Jacob Russell relocated his extended, 20-member family several miles upstream to a 1000-acre site near what is currently the intersection of South Park Boulevard and Lee Road (Figure 1). In 1822, at Russell’s urging, this group became the “Center Family”—the first members of the North Union Shaker Community. 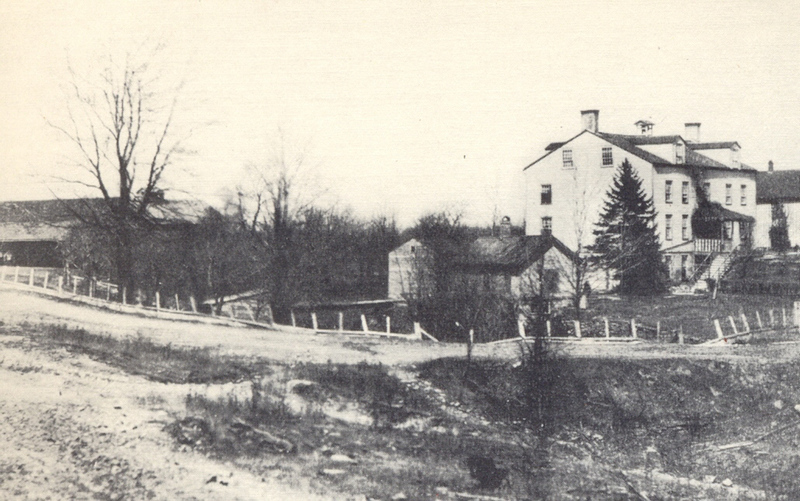 In addition to numerous buildings, orchards, cemeteries, a tannery, a blacksmith shop and an oil mill for making baked goods, the Shakers successfully dammed Doan Brook in 1826. 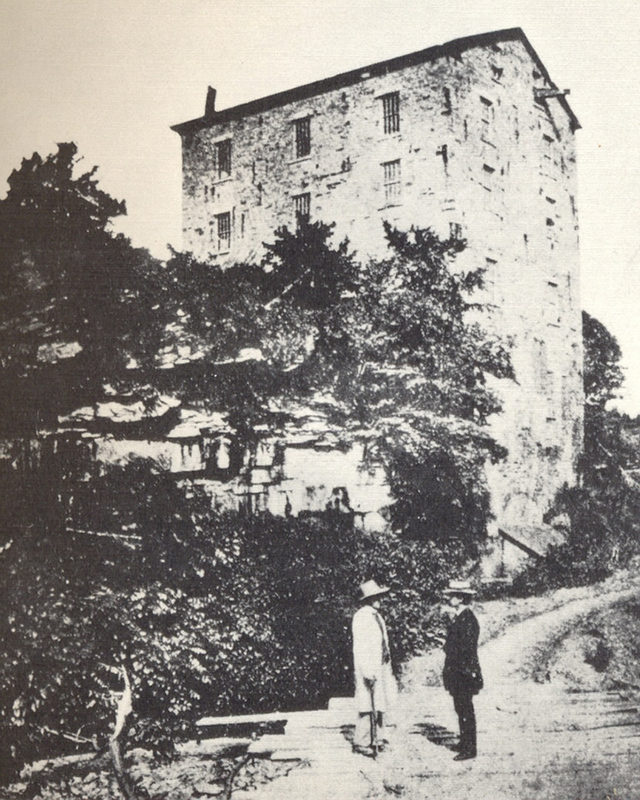 These efforts made it possible to construct a gristmill and a sawmill near the intersection of what is now Coventry Road and North Park Boulevard (Figure 2). These facilities (the remnants of which are still visible) were operated by the Shakers’ second community: the “Mill Family.” Soon after, another family unit, the Gathering Family, was organized. Whole families often lived in one house, the men sleeping on one side and the women on the opposite side, with separate stairways for each. As the Shaker community grew, additional water power was needed; so, in 1854, a second dam was created further east. By that time, however, the community’s celibate lifestyle and an inability to attract new recruits were beginning to take their toll. In 1889, with membership down to only 27 members, the community disbanded and 1366 acres were sold to O. P. and M. J. Van Sweringen for $316,000. In 1892, 280 of those acres were donated to the City of Cleveland, which owns them to this day. 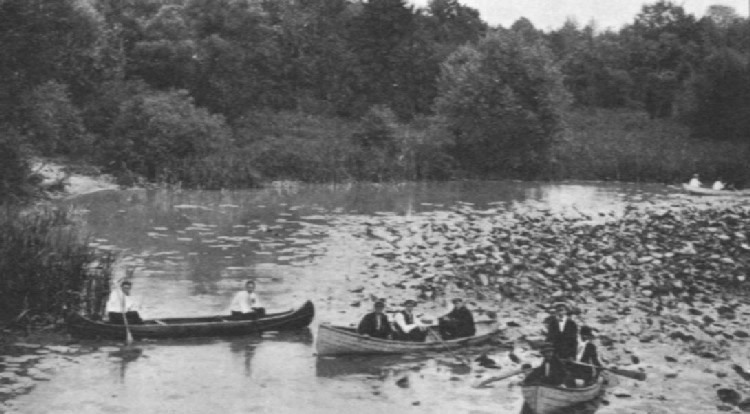 Figure 4: Early boaters on the Lower Shaker Lake. 1Source: "Shaker Heights Then and Now" © 1938, Shaker Heights Board of Education. 2The Nature Center at Shaker Lakes, "History of the Doan Brook,"
Images are Courtesy of the Shaker Historical Society.